India is currently the fastest growing market of ecommerce and it comes to the potential of the growth of ecommerce in India, the numbers are astonishing. According to IBEF.org, by 2020, India will generate 120 billion US dollars revenue from ecommerce business. As the numbers are growing, more business owners are likely to develop a website to sell their products which will make the whole ecommerce landscape not only crowded but competitive. Magento is one of the best open source content management systems that is specifically designed for ecommerce website development. 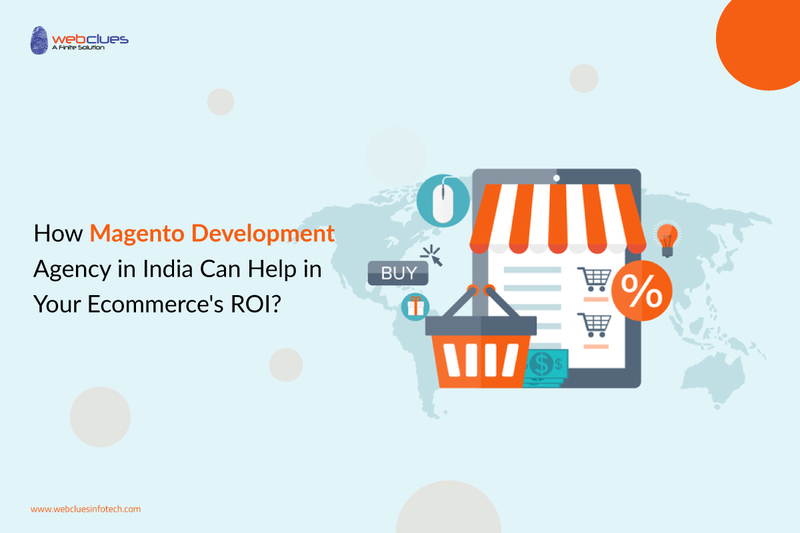 As India is a promising market, why going for a professional Magento development agency can help you in your ecommerce’s ROI. Magento is arguably one of the favorite CMS out there for its robustness and security. A professional Magento developer can develop an online store which will help you cover a wide range of audiences. As Magento’s features streamline the complete lifecycle of the buyers’ journey, it will make the whole procedure smoother and satisfactory that encourages the user to engage and purchase products from your website. A certified Magento developer knows what clicks in users’ conscience by developing engaging navigation of your Magento store. It is a truth that Magento development does not demand expert skills and it is easier than most of the web development activities. That said, you should realize that even if anyone can develop a decent Magento store, it does not guarantee that the products will be sold from that website. You will have to develop a website where users are productively entertained and converted to your customers. Here, only Magento Development Agency is the best resource who understands the consumer needs and develop an attractive website that encourages users to buy which will increase your ROI. It is a fact that developing a website, even though you know basics, is not a game of naive. Moreover, owners should focus on other areas of businesses and let the professionals take responsibility. Owners can indulge in other activities like managing the resource, office warehouses, quality assurance, and quality control of the packages and so on. So, it will give you a better return on investment in your overall business if you invest your time on high-priority tasks. Now, that’s when professional developers and agencies can be your helping hand in achieving scalability in the whole process. As far as your involvement is concerned, you can take regular updates from developers and multitask effectively. There are thousands of online stores in India and the number will grow in the coming time. So, it is a smart choice to go for a professional agency for every Magento development requirements. The agency will give you a proper solution in a specific time. If you are stuck somewhere in your ecommerce store, feel free to drop us a line and discuss your requirements with us.